Tampere Goes Agile is over for this year, so it is a good time to offload thoughts fresh from the memory and reflect what I thought and saw during the day. Also, it is a good time to also be thankful to organizers and sponsors who year after year support these communities and make this kind of sharing possible. 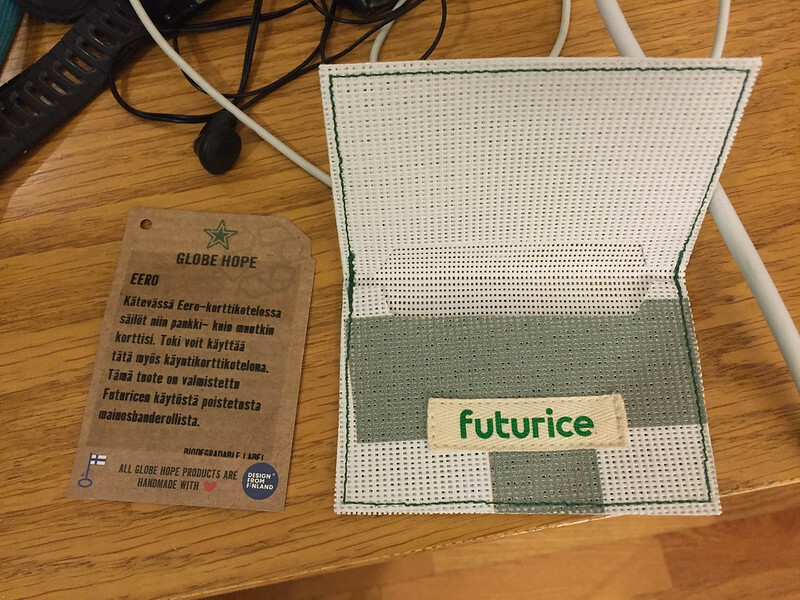 Wakaru, Solteq, Futurice, NitorCreations, Eficode, Vincit and CGI Finland - thank you! The theme of the event was experimentation and the program was filled interesting talks and two workshops – and exceptionally nice amount of breaks to have enough time to socialize and reflect ideas with other participants. His down to earth talk set the stage for the whole day, describing his experiences in helping people conduct experiments and change behaviors. Personally, the talk also reminded two important ideas to my mind: how do we handle our fears and what approaches we take to tackle uncertainties. After Jason we presented our talk about some experiments conducted in Affecto. So much was not properly said on the stage that I do need to write a separate post about that later. Our goal was to share some raw details and experiences on how implementing good ideas is not always so straightforward – and how you more often than not can be wrong about your hypothesis how things will change. We left out a lot of the backstory and did not have time to show the breadth of experiments or change activities going on. Some of those activities have been visible to everyone, but not all. We have had a lot of smart people working towards allowing the culture to change and to experiment with our possible future growth directions. We did not discuss structural changes in the organisation nor how new tools and communication channels were deployed to support collaboration over borders. 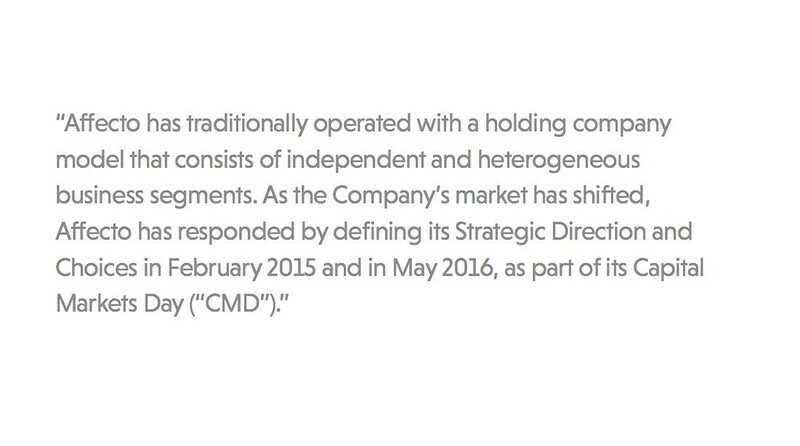 We did not talk about the improvement of capabilities also on the management level. But we briefly discussed 4 selected experiments. Design Team -experiment showed among other things that it takes time to get changes through and any new experiment can be almost accidentally killed by the existing culture and organisation. Autonomy and focus does help. Value Architect -experiment has shown that we can create value and solve interesting problems for our customers, when we work close with the customer and have people who really understand the domain framing the challenge and opportunities. Tribes -experiment showed that adding additional concepts and layers on top of existing organisation make things just more complicated. Tribes which already had a natural community and purpose thrived, some others were without clear purpose or means to work efficiently towards that purpose. 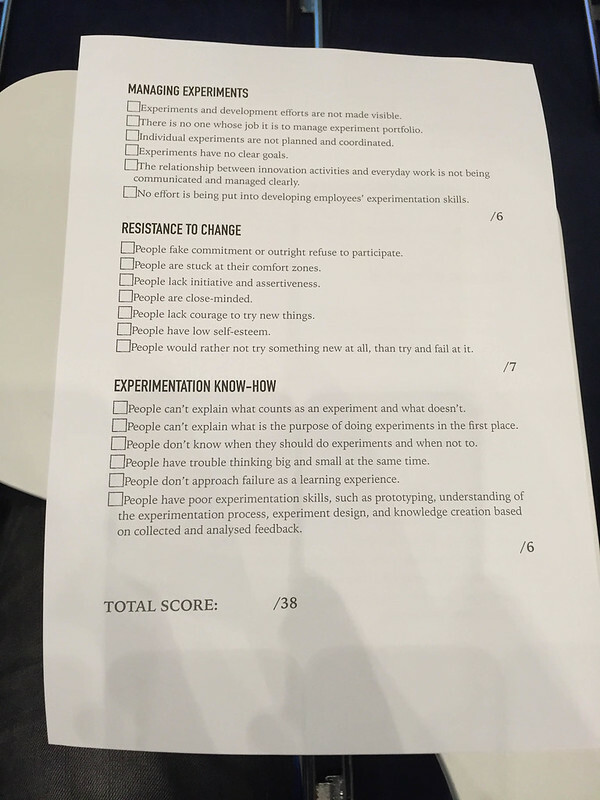 SWAT -experiment showed that talented people - given a clear focus on goals and autonomy - can create really interesting solutions and generate new ideas, business and positive hype. The experiment has been really good both internally as well as externally. 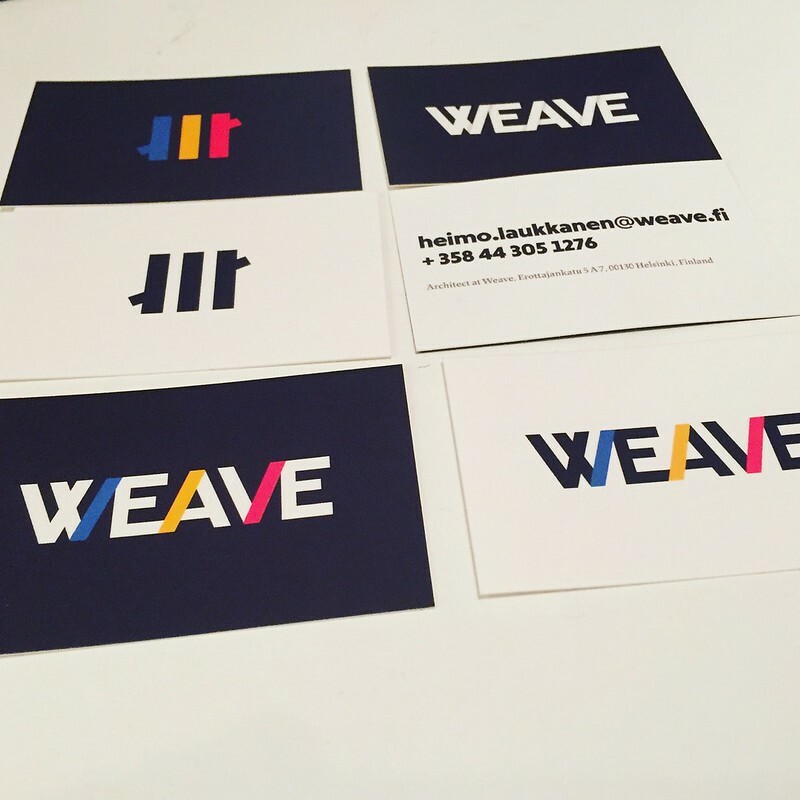 And then we talked about Weave and thinking behind it. As we have learned from multiple other experiments - autonomy and focus have helped our experiments to succeed. 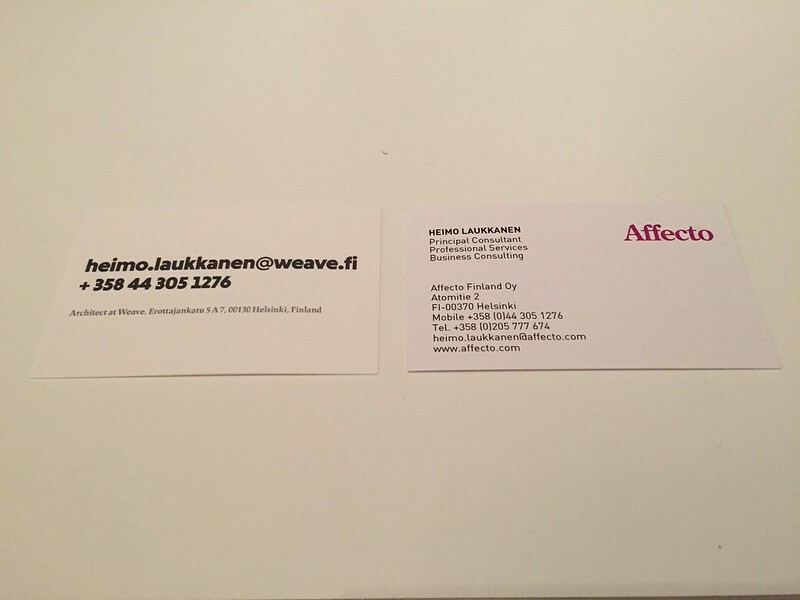 We are still an integral part of Affecto, but with own brand, identity, office and message that puts service design and bespoke digital solutions into the front and center. 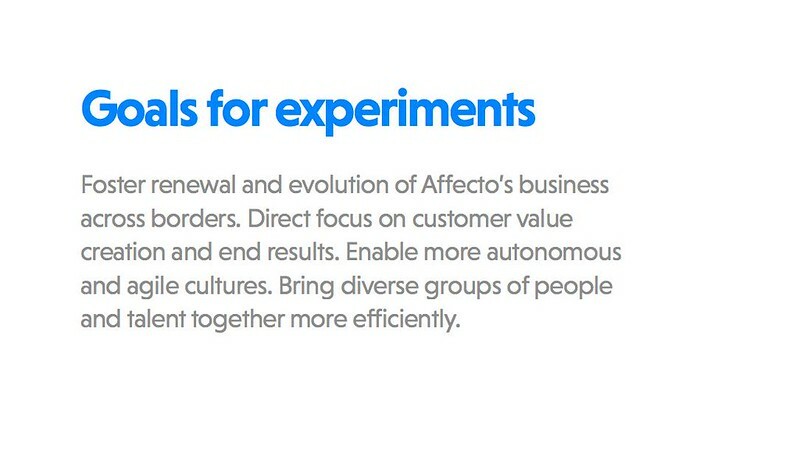 This culture, these capabilities and know-how has existed inside Affecto already for some time, now we just bring it more out and give it space to grow. Interesting lessons from us as a take away were hurried on the stage - and should have been a longer separate discussion. But shared here again as talking points. Do not underestimate the strength of existing culture. Good ideas and intentions can die, if there are elements in the culture that do not support those activities. We discussed and mentioned that this previous operating model and idea of focusing or feeling or belief of forced focusing into billable hours and financial metrics can kill energy and initiative. It could be that what market is willing to accept is a limiting factor to how much and to what you can change into. We have seen this few times, including with agile software development – where the start was fighting against windmills, but eventually when people were able to tell that this is the way Nokia does stuff, others were willing to listen and to try. What works elsewhere, might not work in your situation. Bounded applicability and dependent on the context. See point 1. Sami Paju also touched this in his talk with a lyrical theme “Kill them while they’re young and weak”. Experiments can take time and most likely will not be overnight blockbuster successes. Eventually you will have to be also brave and kill or adapt things that do not fly, but not immediately. If I have learned anything from Joseph Pelrine, Dave Snowden and others - it is this. Human systems are complex adaptive systems. Every intervention changes it and it can be impossible to predict how exactly those changes happen. We are - after all - human beings, not numbers. It is better to think that you are most likely going to be wrong and plan your interventions and actions knowing that. This is big. I am a big fan of Esko Kilpi who has been writing about future work and how organisations exist in interactions between people. It is definitely the direction we are also moving towards to and describes the landscape I have had in my mind about places where I work. If this topic interests you, I highly recommend to check out also Fernando Flores. We tried to say many big things in a short amount of time. Sami Paju had possibly the most interesting talk of the day, presenting some ideas and characteristics of a regressive organization. 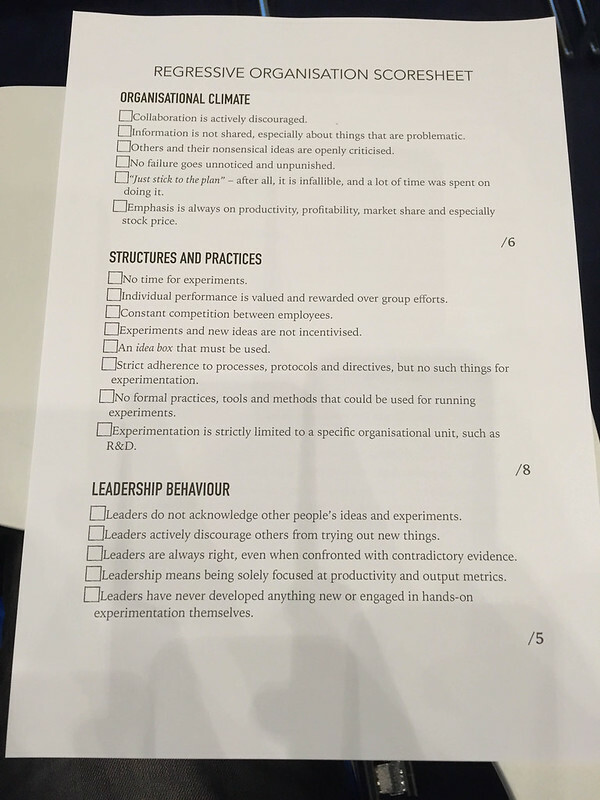 He shared a very non-scientific assessment sheet where you could tick boxes depending on whether similar approaches describe also your environment – and get a sense whether you feel your organization supports or suppresses experimentation and renewal. The interesting question is how to and why to use anything like this. Would such negative and stereotype painting assessment just fuel and feed blame? I’d hope that no, especially if it is used wisely in an intervention - where organisations’ culture is assessed by different stakeholders: management, employees and partners collaborating in experiments. What if we give ourselves nice review in positive assessments, but also notice that we have or people feel that we have numerous potentially negative traits that limit our abilities to do what we need to do? It is up to organisational development professionals to make decisions on how to proceed with people systems and know what to do and what not to do. I immediately felt a connection with ideas expressed and discussed during the talk. 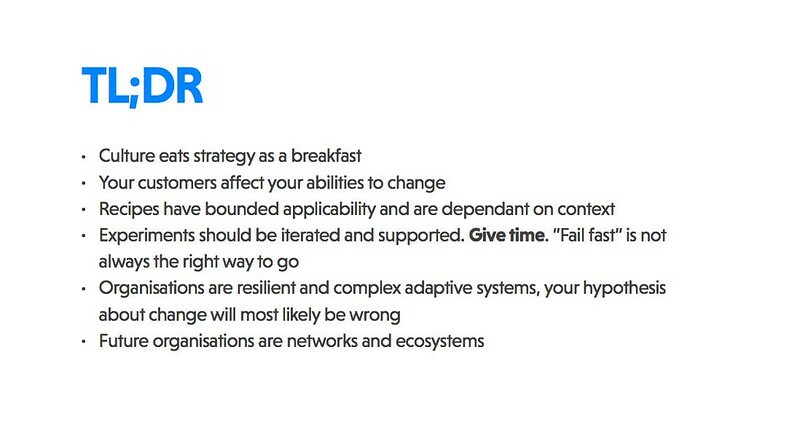 No matter how stereotypical or silly assessment topics seemed, I have heard and seen people say these things almost word to word in different organizations. And yes, I have also said some of those things myself as my interpretation of situations. Were those interpretations and expressed feelings right or wrong is a different question. Sami Paju’s talk also reminded me of Nasreddin stories and how sometimes we human beings learn and pass knowledge via negative stories. Looking at successful companies and heroic examples from others might not be the best way to define what we should do, but through negation we might actually be able to describe what characteristics and behaviours we definitely want to avoid - and throughout our evolution steer ourselves away from those known pitfalls. 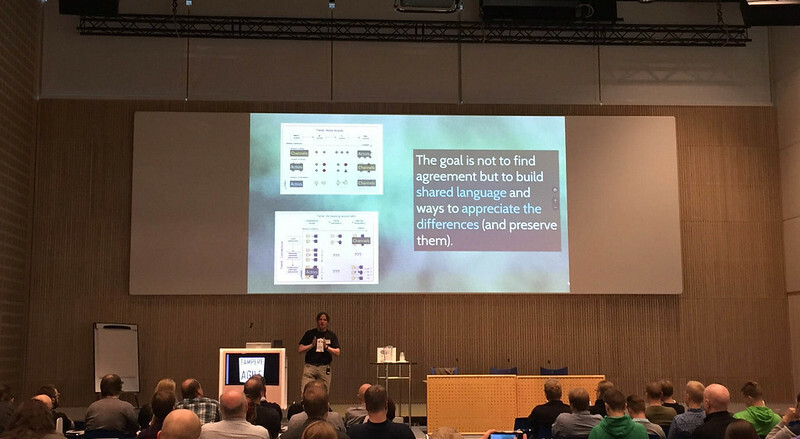 After lunch, I joined in Ari-Pekka Lappi’s talk about how to have better technical fights. The aggressive topic was filled with soft gems and ideas on how to work, think and communicate with other people. A really good takeaway was not to fear conflicts, but to create safe spaces and methods to have those good technical discussions and disagreements that open up more possibilities. Very worthwhile to look at the presentation just for the metaphors alone and I truly suggest to have a chat with Ari-Pekka if you meet him. 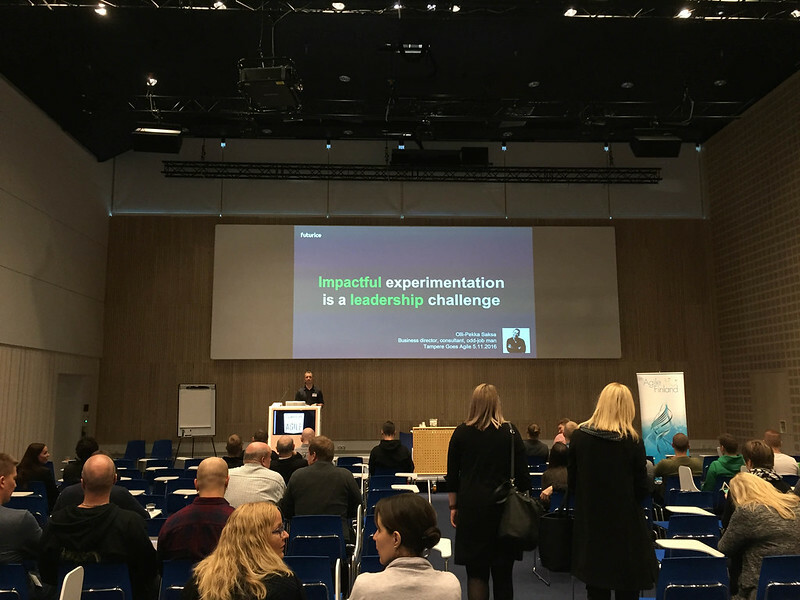 Olli-Pekka Saksa shared good insights on experimentation and what are those things that might limit organisational capacity to experiment. I especially liked some of the anonymous quotes and examples he shared - like “nothing can save a successful company”. Your own success and current status can inhibit the ability to take bets and make public bets, if a public failure in some of those bets could damage company’s ability to create value. Getting out of a culture of fear is the big leadership challenge. Unfortunately I had to leave during the last keynote, which was a highly entertaining talk by Dylan Beattie – but after a bad night sleep and intensive day of energetic discussions I was completely worn out. Thanks again to everyone and anyone I managed to meet and talk to during the conference, see you again next year.